Posted on January 16, 2017 at 4:28 pm. Pokies losses in Cairns over the past 12 months have been revealed and unsurprisingly, the figures aren’t pretty. 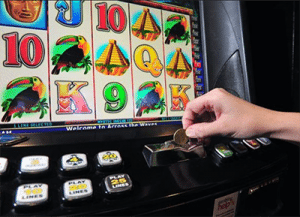 A new report has revealed that punters lost close to $100 million playing the pokies in clubs and pubs around Far North Queensland in 2016 – a monumental $5.7 million increase on losses from the previous year. Why the massive jump in losses? Over the past six months there have been some changes to pokies accessibility in Cairns, including an increase in the number of electronic poker machines, with 1,948 pokies now operating around the greater Cairns region. Gaming hours were also extended at many suburban pubs and clubs after the Office of Liquor and Gaming Regulations introduced a cut back of alcohol service time with an increase in gaming hours. Any venue can now apply to have its gaming hours extended by two hours past the service of alcohol cut off time, with nine Cairns venues seeking approval in the past six months. Six of the venues that received approval are owned by Woolworths’ ALH Group and Coles’ Spirit Hotels, with some gaming rooms remaining open as late as 4AM. The figures reveal that on average, $273,847 was lost on the pokies in Cairns every day. July was the worst month, with punters losing $10,283,270. Overall, pokies losses in Cairns increased by 6.1%, considerably higher than Queensland’s state-wide increase of 2.4%. Cairns residents also lost more on the pokies than Townsville, despite Townsville having a higher population. It seems pretty clear to us that the surge in pokies losses is directly tied to the extended gaming hours and increase in the number of machines available. If the Cairns government was serious about reducing the effects of problem gambling, reversing approval of the new gaming hours would be the first step. Unless that happens, the power of profit over community support speaks for itself.